I wrote a book. I think it’s a pretty good book. Of course, I wrote it, so I am a bit biased, but I think it’s pretty good. My mom also said it was good, but I don’t think she actually read it. My dad read it, but when I asked him what he thought, he just grunted a little and fell asleep – I wasn’t insulted – he does stuff like that. My son just said, “that book has lots of words.” He’s right, it does. Way back in 2003, I was working on a draft of a play I’d written about three morons in an apartment in New York City who suddenly realized there was a bear in outside their door. A bear outside the door is not something you expect when you’re in an NYC apartment, so all sorts of wacky hi-jinks, because I happen to think that wacky hi-jinks are the best kind of hi-jinks. I didn’t finish for a while, but that dead cowboy haunted me for a while. Not in a literal sense, there wasn’t a spurs wearing spirit sidling through my living room, but he was stuck in my head just the same. Now, Billy wasn’t the sort of fellow that would lose his horse in a bet that he thought there was any real possibility of him losing. He thought for certain he’d win, but this was a bet in a spittin’ contest. Against Scoots McGinty. A sneaky, low down, snake in the grass for sure, but a sneaky, low down, snake in the grass who happened to have a spittin’ disorder so that he couldn’t muster up enough saliva to lick a stamp, let alone win a spittin’ contest. Yet, he won, Billy lost, and Old Steve was gone. 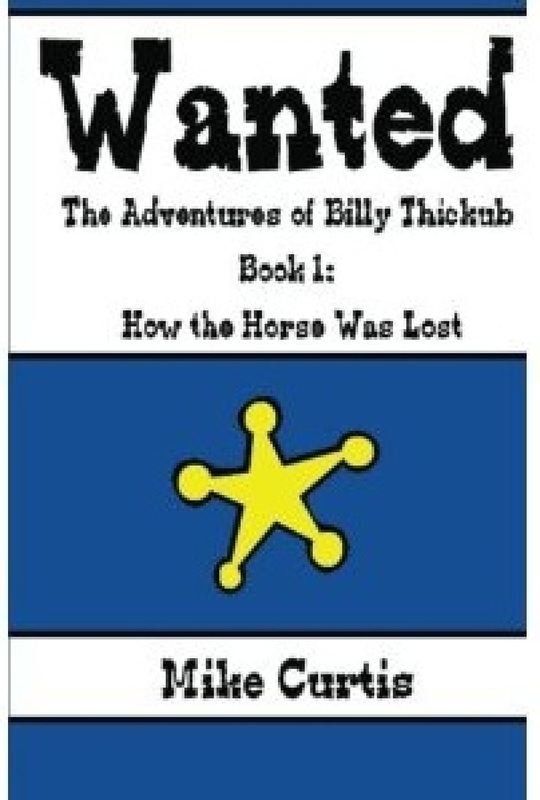 Just the same, Billy and his new friends set off after Scoots McGinty, along the way encountering all sorts of adventures and some unusual characters like some angry Native Americans, a bunch of pickle salesmen, and the world’s meanest outlaw. 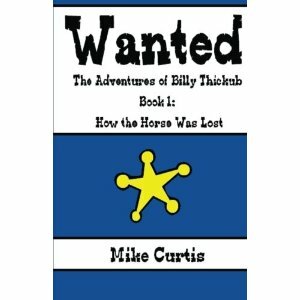 How the Horse Was Lost is just the first book in a trilogy about Billy and his pals (at least it’s a trilogy in my head) written for middle grade readers. Strangely enough, it does not include that first line that I wrote – that one got deleted somewhere around the 17th or 32nd draft – it is, however, loaded with action, adventure, comedy, and more than one joke about poop. I’d like to give away 20 FREE copies of my new book, especially to folks that will read it and pass it on to their friends/family/students/kids. All I ask in return for a free copy of the book is a review on Amazon or Goodreads from you and whoever you pass the book on to after that. I’d prefer a good review, but I’ll settle for honest. I’m going to leave the comments section of this post open for a week. In the comments just let me know if you’d like a free book and your Twitter name (or email if you don’t have Twitter). I’ll pick some random winners next Friday and send some free books out soon after that.